Here are some tips for choosing the right fertilizer for your grass lawn. Fertilizing your lawn is an important task that will help keep your lawns healthy season after season. It can be confusing to know which products to use and when, especially since not every home has the same type of grass. Let’s look at the most common types of grass lawns and their routine for fertilization. Warm Season Grasses: Bermudagrass, Zyosiagrass, Buffalograss, and Bahia are all warm season grasses. This grass type is most often found in warmer climates, like the south, and has a peak growing season from spring to fall; it can turn brown during the winter months but thrives in the hot heat of the summer. Why does my lawn need fertilization? Like most plants, lawns require nutrients in order to grow. Very often, grasses don’t get all the nutrients they need, so feeding it can help the overall health of the lawn. A healthy lawn not only looks nice and green, it can protect itself from pests, absorb water better, and may have fewer weeds to contend with. 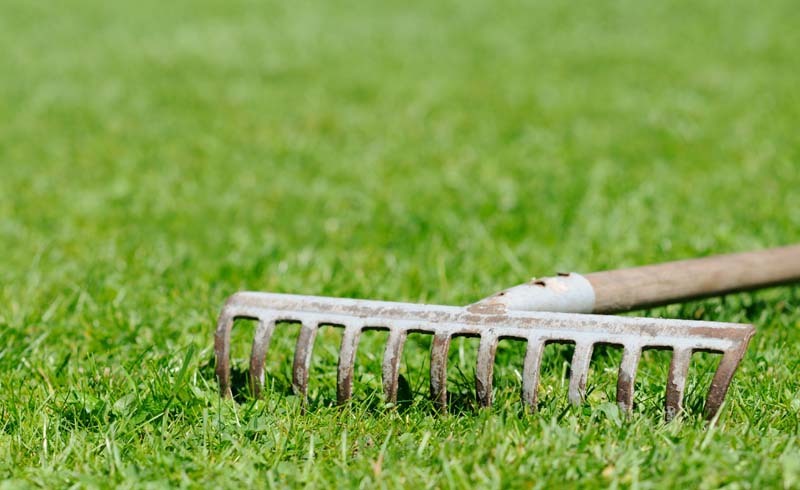 The key is to know what your lawn actually needs and how often, which can vary depending upon where you live, the grass you have, your soil and other conditions. 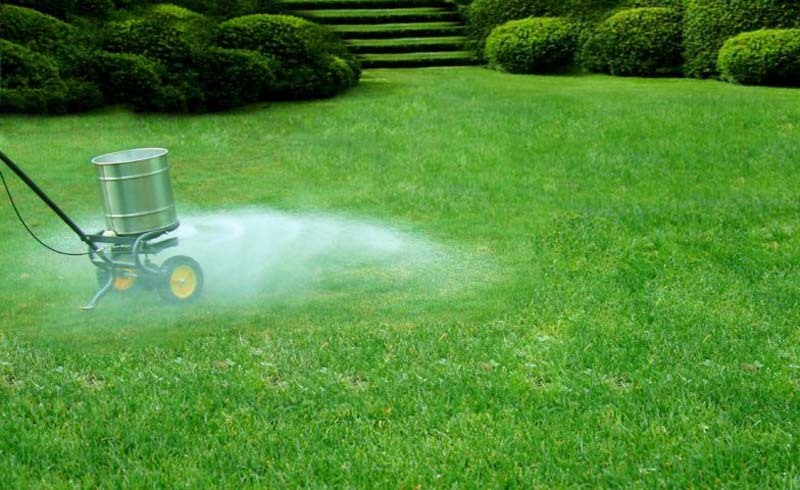 Some fertilizers actually run off of the lawn and can enter the waterways, poisoning wildlife. Some people and pets are sensitive to lawn fertilizers, and can have irritated skin and other reactions if they come in contact with a fertilized lawn. It’s very important that you understand what you are using for fertilizer and understand how much to apply. Most lawns will perform better with the right combination of nitrogen, phosphorus and potassium. Nitrogen promotes growth, phosphorus helps the roots, and potassium is great for overall health of the grass. Most fertilizer bags show the percentage amounts (by weight) of these three key ingredients. These three numbers should be prominent on the bag (like 10-10-10). You’ll want to know about how large your lawn area is, as fertilizer is sold according to the square footage. Performing a soil test on your lawn is the best way to know exactly what is missing from your soil. If you don’t know exactly what your soil is lacking, purchase an all purpose type of fertilizer, or look for a fertilizer to address specific needs like weed control or new sod. Most lawns benefit from an annual fertilizer feeding in the fall, when the grass needs to start storing nutrients for the winter. You’ll want to water your lawn just after fertilization so it’s best if you fertilize when you are expecting a light rain fall. Spring is another great time of year to fertilize, as grasses are starting their growth cycle. Your own lawn care experts may advise a different feeding schedule so check with your lawn care professional. Here are some other fertilizing tips. Warm Season Grasses: A good schedule is to fertilize warm season grasses with a slow-release formula and use it at the start of the spring, summer and fall seasons. Cool Season Grasses: This type of grass is slightly lower maintenance, and you can feed this lawn in the spring and fall. You usually don’t fertilize a cool season lawn in the summer as it tends to go dormant. Fertilizer can burn the lawn if applied in a thick or heavy layer. It’s best to sprinkle it evenly with a push fertilizer spreader. Some find it easy to use a plastic gallon milk container, clean it thoroughly, poke several small holes in the bottom, and fill it with fertilizer. Spread the fertilizer in an even and overlapping pattern on to dry grass. You’ll want to water the lawn just after so that it soaks into the soil.